The Worst Witch will fly into the West End for 7 weeks only, over the summer holidays, from 24 July * to 8 September following its hugely successful premiere at Royal & Derngate and hit UK tour. This new story, adapted for the stage from Jill Murphy’s original books by Emma Reeves (who won a Royal Television Society Award for Best Children’s TV Programme and 2017 British Screenwriters Award for Best Children’s Programme for the televised version of The Worst Witch) was launched last November as Royal & Derngate’s Made in Northampton 2018 Christmas show. an extraordinary place: a school for witches. that’s being fought for their future. Featuring Jill Murphy’s much-loved characters, the production includes original songs, music, magic and a dose of Mildred’s unique brand of utter pandemonium! 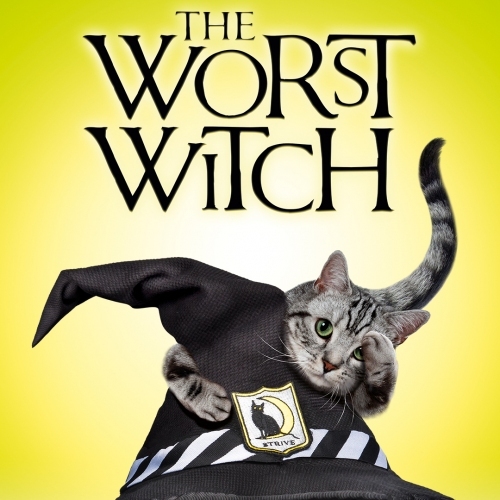 The Worst Witchis directed by Theresa Heskins(2017 UK Theatre Award for Best Show for Children and Young People) and designed by Simon Daw, with music by Luke Potter. Kenny Wax Family Entertainment, Novel Theatreand Nica Burnspresent a Royal & Derngate, Northampton Production.